Behold the incredibly weird-looking Horten Ho 229 -- an all-wing "wonder weapon" plane that the Nazis frantically developed even as they were collapsing and losing WWII. The Smithsonian National Air and Space Museum has one in its collection, and they've been slowly examining it for decades. Created by the brothers Reimar and Walter Horton, it was the the first iteration of the concept of "bell-shaped lift distribution," an idea that's still being bandied about today. Because it looks so weird, this nutty plane has long been cocooned in mythology. After the war, Reimar claimed they'd treated the exterior of the plane with charcoal to make it invisible to radar. Nope: The Smithsonian folks haven't found any evidence of that. (A good story on the charcoal search is here.) Indeed, the plane was a colossal failure; the one time they tested it with powered flight, it crashed and killed its pilot. 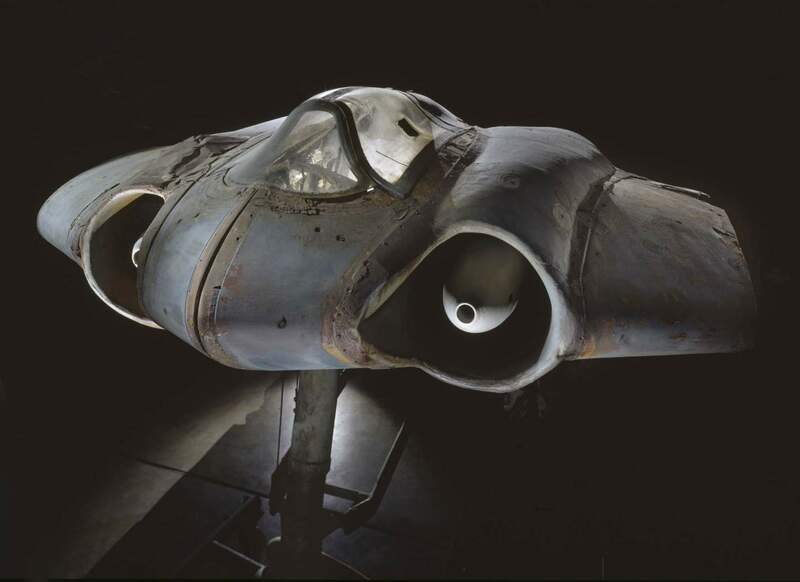 By working on the Horten Ho 299, the Hortens kept themselves away from the most dangerous aspect of the German war effort. They were under a strict deadline to get their new plane into the air, and working on it kept the Hortens and their employees off of the front lines, where thousands of their countrymen were dying. Lee found that some German scientists purposely sought to generate these new projects to stay off the front lines, a story he wouldn’t have known without working on the Horten Ho 229. So, desperate Nazis were pitching high-tech vaporware to avoid front-line service.